This is kind of a teaser for the Brit Week that we're going to do soon. 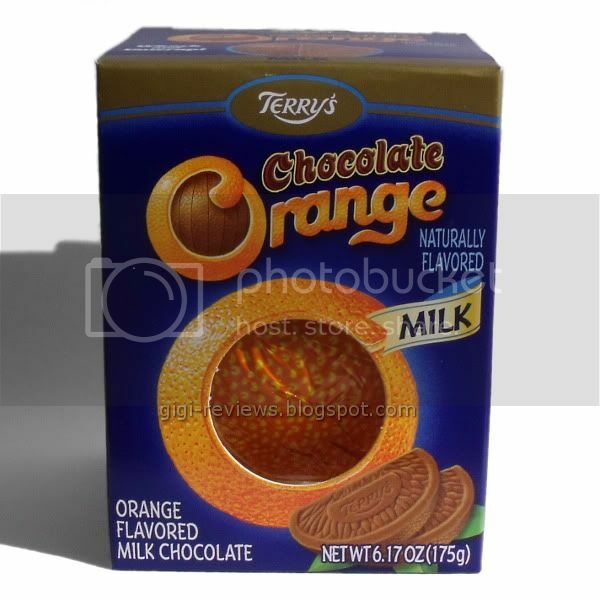 Terry's Chocolate Orange was once available only in the U.K., but is now available around the world. 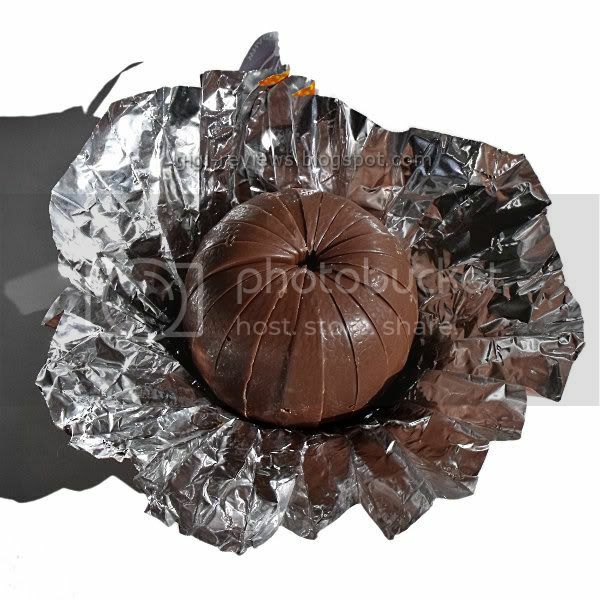 Each Orange is just that -- a sphere of orange-flavored chocolate that has been molded to look like the actual fruit. The sphere is broken up into segments that look like individual slices. 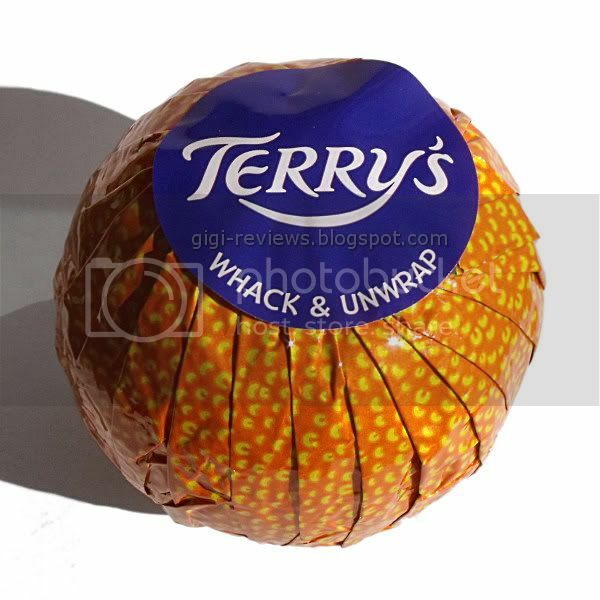 I have no idea how, with my love of orange-flavored chocolate, that I managed to take this long to review a Terry's Orange. Maybe it's because, until the last few years, I can only remember really seeing them around Christmas. (Granted, they could have been there year around, but they never caught my eye). Or it may also be because when I was a kid, my family didn't do the whole orange (or fruit), candy, or nuts in the stockings bit...oh sure, all those things were around; we just didn't get them from Santa. Anyway, the candy is made up of milk chocolate flavored with orange oil. When the orange is unwrapped, the first thing you smell is the sugar and the orange. The slices came out cleanly, probably because after taking the initial pictures we did give it a nice whack. (Uh, I mean a slap. Yeah, that's it, slap. Go away, I dunno nothin' about it!) When you bite into a slice, the chocolate is soft. 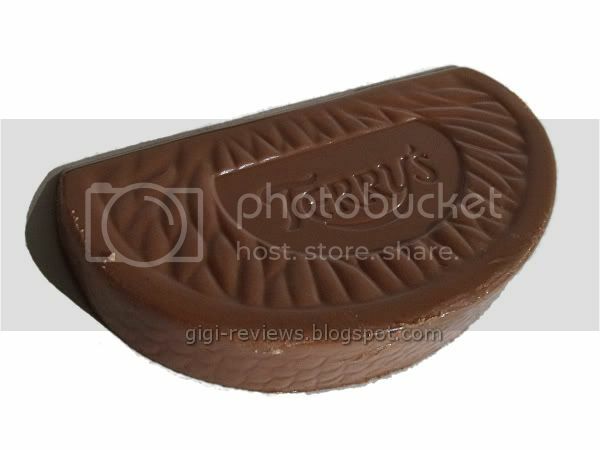 In fact, the chocolate actually bent slightly to my bite rather than just snapping off. The first flavor that hits you is the sweetness. All of this may sound disappointing so far, but it really isn't. What makes the whole thing work is the orange oil. If you've ever tasted fresh orange zest, or licked your fingers after zesting, or even after simply peeling an orange -- well, that's the orange flavor here. It's very strong and pure, almost (but not quite) to the point of being bitter. And that is the magic that makes it worth eating. The sharpness of the orange oil keeps the sweet chocolate from being overwhelming (although, to be fair, my teeth did hurt a bit after eating entirely too many slices). And at the same time, the sugary chocolate keeps the orange oil from overpowering the overall flavor. Cote d'Or had a similar product. 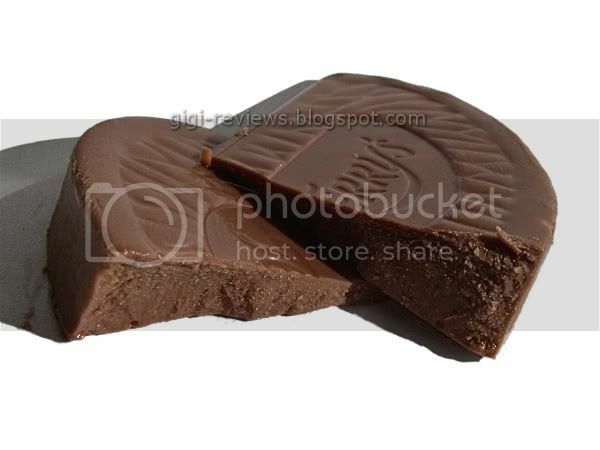 Also orange-shaped and split into nice-looking slices, but it was dark chocolate and it had tiny orange pieces. Have you tried that one by any chance? Bronto: I have not seen that one sadly. I have liked the Cote d'Or I have had for the most part- but I have a hard time finding it. When I lived in Georgia my neighborhood Super Target actually had a fantastic candy section and carried a pretty decent variety of Cote d'Or. I will have to look for that one, it sounds good!